Westsail Owners Alliance - Thread: "Aries Wind Vane"
Just for your information, these Aries vanes appear to be pretty valuable. My boat came with one. I forget whom it was, but one WOA member went around and was considering ebay etc, almost exactly one year ago. You may wish to check old threads from the WOA bulletin board for more information before you set a price. 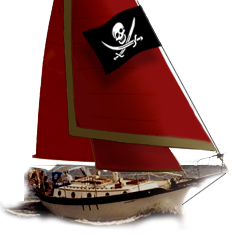 Oh, yes, I forgot to mention that I was about to try to offer I think $1500.00 for that same vane last year when my boat became available with vane installed. Not to say I know anything about value, but that's what I was thinking. The seller was not too anxious to sell, either. Yes, I think that was you, and thanks for entertaining my idea. Sounds like a fair price. As most things on my W32, I tend to be pleasantly surprised at resale values of old hardware.